Say goodbye to batteries. With this USB cable, you can power your gear anywhere you charge your phone. Looking forward on seeing USB power solutions evolve! 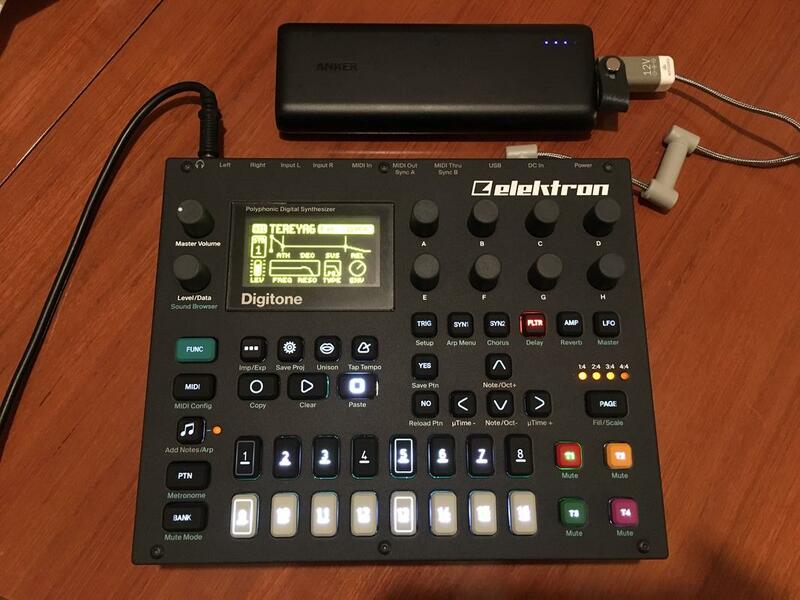 What type of USB power battery would fit with the Elektron boxes then? I’d imagine anything over 10 000 mA would last a good amount of hours. Are them became réal or what?? Did domeone see this for réal??? The latest update to the ripcord was posted by the authors last week. 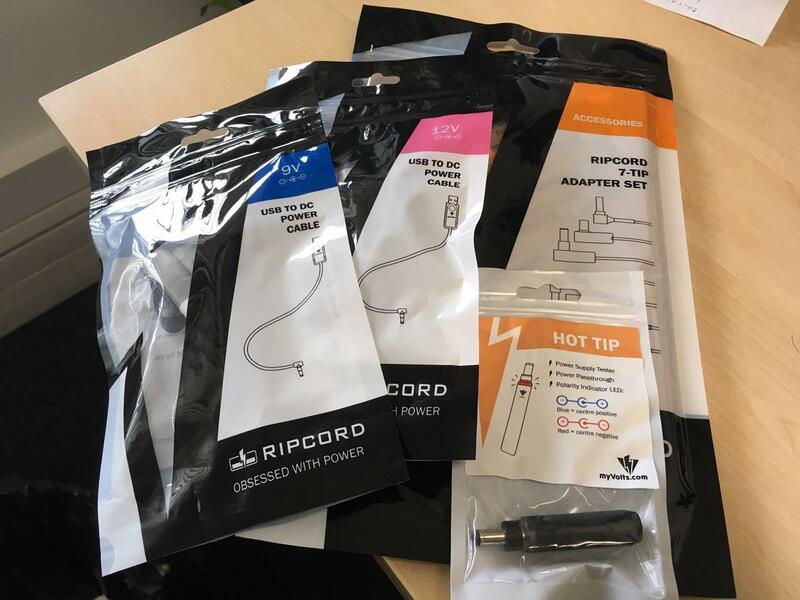 They have now received a manufacturing sample of the ripcord from the chinese factory, and are testing it thorroughly before giving the green light for mass production. Love the braided cable look on these by the way! Finally arrived this morning. Wonder how well it will cope with ground hum when powering multiple devices. Yeah - what a long, strange trip. At several points over the past few years, I had completely forgotten about this kickstarter. Now, 3 years later, it’s finally shipping. I ended up switching to a 12V model, since I sold all the gear that would’ve taken the 9V (volca keys, guitar pedals, etc.). Maybe I should’ve gotten a 4.5V version to power my marantz tape deck… oh well. At any rate, I inquired about whether one could power a Digitone or Octatrack mk2, and the feedback is mixed. 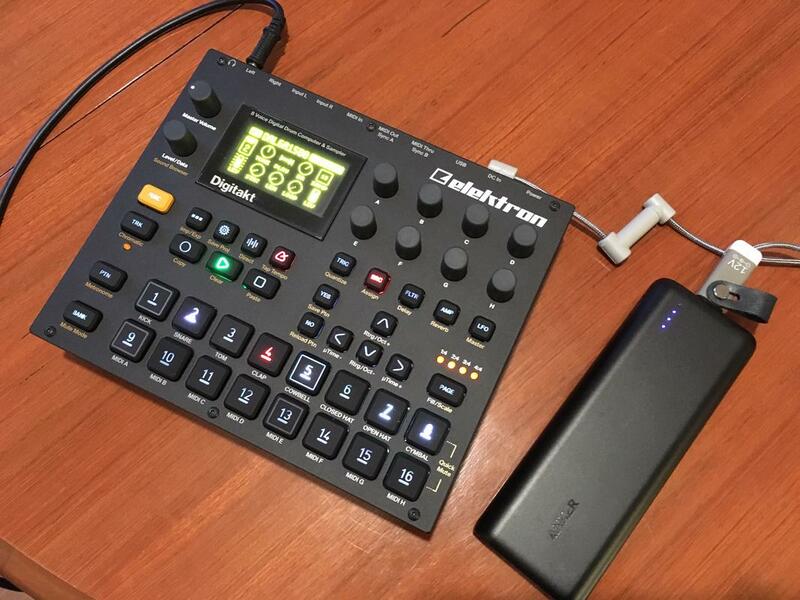 It sounds like Digitone needs more current than the ripcord can provide, but it may be possible to run an Octatrack mk2 with the 12V cable. I’ll give it a try, as that could be really handy. Just as well USB is still a thing. Wonder if these work well with high ampage usb power packs? The 12v version worked okay for me, the adapter should output 9w max. I measured about 5.5w for the digitakt, 7.5 for the digitone and octatrack 2. Perhaps the usb battery wasn’t powerful enough for you, I tried with an Anker PowerCore 20100. Very happy to see the ripcord finally working and out in the world! How’s the power? Any unwanted noise in the signalpath? I don’t see any unwanted noise when just powering one item from the adapter. Not fully tested if there is ground hum when running from a daisy chain or splitter cable, the reason I believe for the delay of the product. Strange. 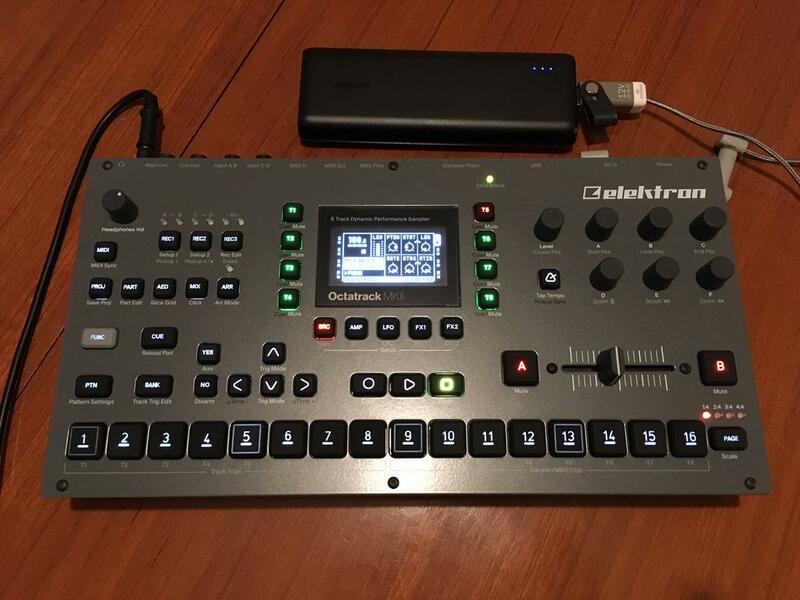 After work I will connect the ripcord between an USB power adapter and Digitakt. To ensure that the ripcord is generally working with the Digitakt. If this will work, I’ll purchase a bigger power bank. For the Digitone and Digitakt, do you just need the 12V Ripcord, centre positive AA928MS lead, or do you need extra convertors? The centre positive polarity is correct, just need the tip converter to make it the right fit - 2.1x5.5mm to 2.5x5.5mm. I couldn’t see any 2.1 to 2.5 tip adaptors. All other sizes seem available. Its the third from bottom cable in the cardboard insert. Gaz Williams running A4 with the adaptor. I didn’t try it myself as I measured 14W for A4 and Rytm and the adapter says it only does 9W. 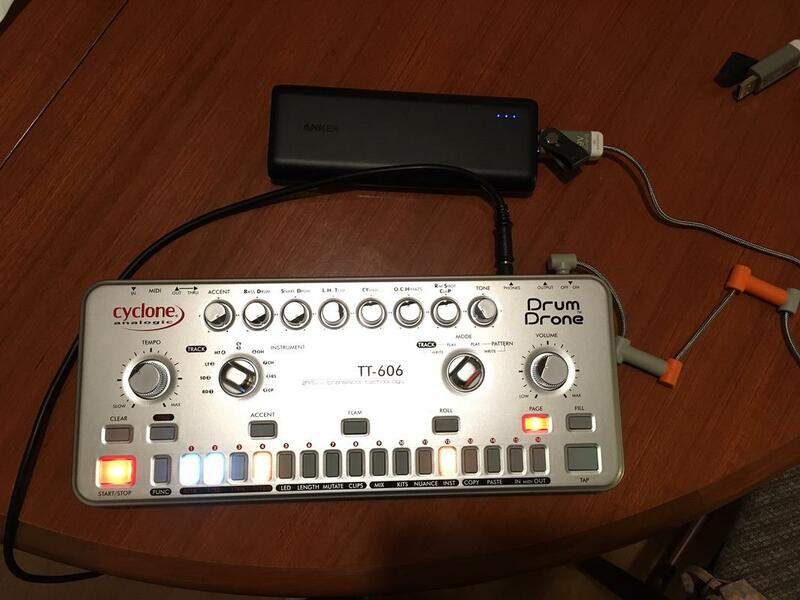 Wonder if the adaptor does indeed provide more than the rated power or Elektrons make do with less. Not sure what effect it will have on the units or the adapter. Perhaps we can summon @Olle to chime in on this? Will the ripcord supply enough power for analog four / analog rytm? You reckon its safe?